Heat saute pan on medium/high heat. When hot add olive oil and butter. 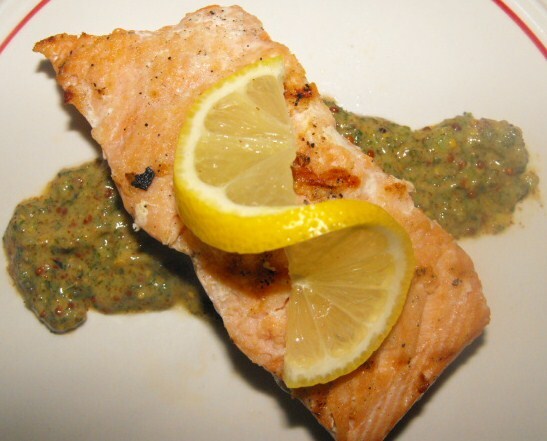 As soon as butter is melted lay in seasoned salmon fillet, the most attractive side down. Shake immediately to keep from sticking. Cook 3 to 4 minutes depending on thickness and flip. 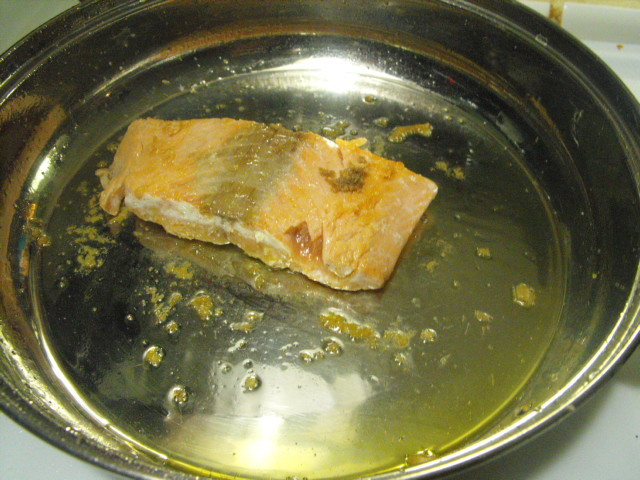 Cook for another 3 to 4 minutes until fish gives slightly to the touch, reducing heat if necessary. 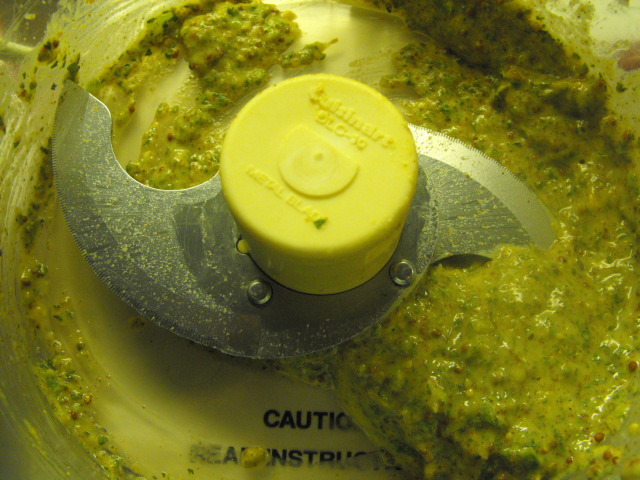 Serve with Minted Stone Ground Mustard.